To assist us in better serving you, please fill in this contact form, and let us know if you or your child is taking classes with us in the comment field. Located in San Antonio, Texas — Ballet Arts School strives to provide students with a nurturing environment for training in ballet with pointe and partnering, jazz, tap, modern, improvisation, boys ballet, creative movement and pre-ballet. The studio produces an annual recital at the end of the school year. Established in 1973, the studio has been under the ownership/directorship of Judith Clement Gani since 1989. Feel free to contact us anytime if you have questions or if you are interested in registering for classes in our current curriculum. Ballet Arts students are exposed to a number of opportunities that enrich their technique. 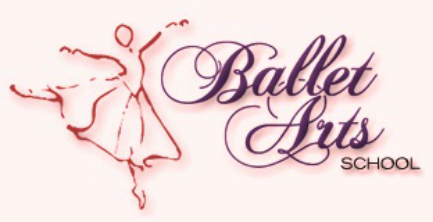 Many advance to become members of Alamo Arts Ballet Theatre, a non-profit performing company for the very serious dance student who desires to pursue a career in dance. Ms. Gani is executive director of AABT. The company performs several times during the year and affords children at Ballet Arts the opportunity to audition for parts in children's ballets. In the 2015 - 2016 season, Alamo Arts Ballet Theatre produced their full-length story ballet, "Alice! A Ballet Wonderland". They also gave free lecture demonstrations in schools and community centers. © 2018 All Rights Reserved — No part of this website may be reproduced.